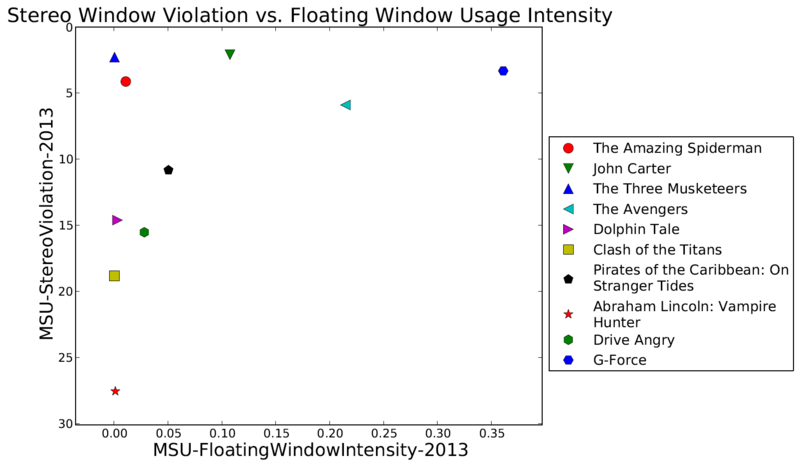 The sixth report is dedicated to the analysis of stereo-window violation issue and use of floating windows in various S3D movies. The report presents detailed (415 pages) evaluation results of 10 S3D films, which were natively captured or post-converted. We offer a detailed analysis of 10 films. 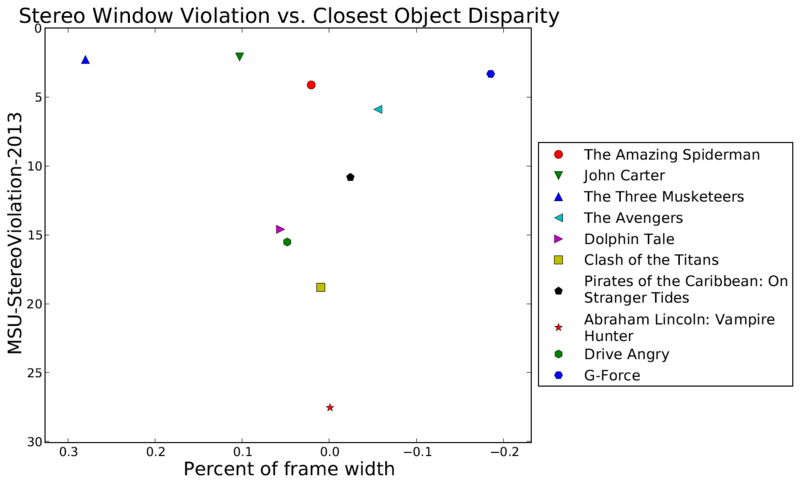 This analysis comprises per-frame charts showing floating- window and closest-object disparities for both the left and right borders of the screen. 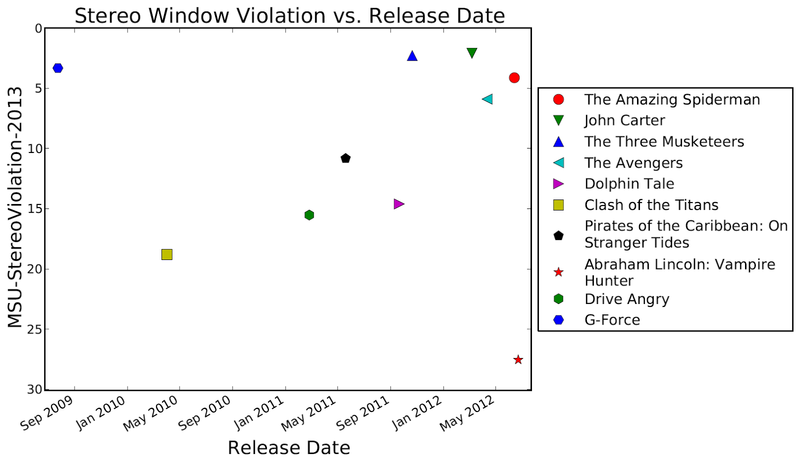 Visualizations of frames with the most noticeable stereo-window violations are provided under the corresponding charts. In appendix we present our analysis of slant floating-window use in selected S3D films and a relatively uncommon technique that we call the letterbox-violation effect. Full report (415 pages) is absolutely free but download is available only for industry professionals (due to publication of real mistakes in the post-production process). You will get the download link for all reports (Reports #1–6) via e-mail.